Age your own whiskey with these nifty barrel aging kits! Each kit contains one 5 Liter Barrel and six bottles of white whiskey. 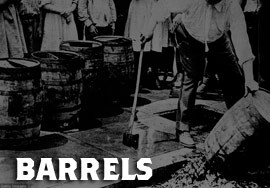 Use the barrels again and again with whiskey or to make your favorite barrel aged cocktail or cask conditioned beer!